Medical degree, Leiden University (the Netherlands),1990; PhD (Archaeology), Leiden University (the Netherlands), 2008. After obtaining a MD and PhD in Archaeology from Leiden University (the Netherlands), Hans Barnard is now Associate Researcher at the Cotsen Institute of Archaeology as well as Associate Adjunct Professor in the Department of Near Eastern Languages and Cultures. 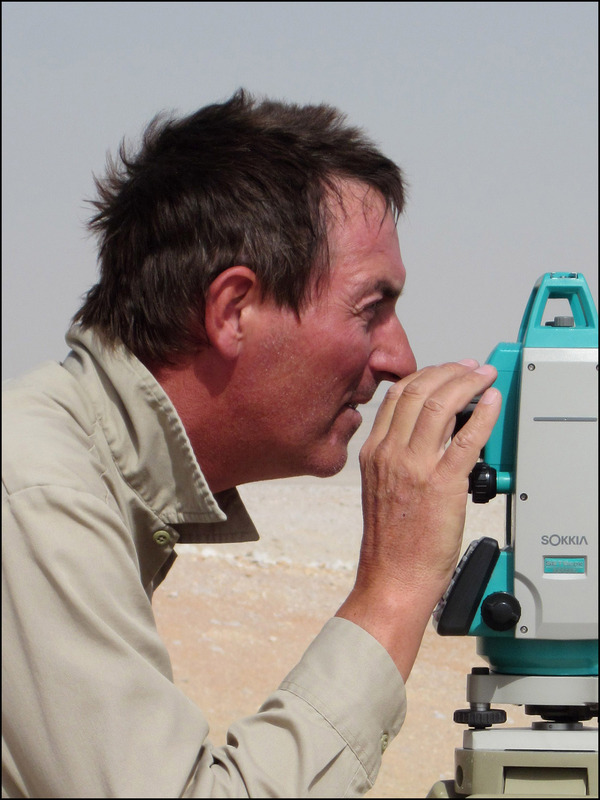 As an archaeological surveyor, photographer and ceramic analyst he has worked on sites in Armenia, Chile, Egypt, Ethiopia, Iceland, Panama, Peru, Sudan, Syria, Tunisia and Yemen. He is currently involved in research projects investigating the prehistory of the Tigray region in north-western Ethiopia and the ancient production techniques of selected artifacts in Museo Egizio in Turin (Italy). Both projects are fieldschools, offering opportunities for undergraduate and graduate students, see http://www.ifrglobal.org. With W.Z. Wendrich and R.M. Bridgman he has published “Report of the Baynun Mapping Project” (Leiden, 1999), with J.W. Eerkens “Theory and Practice of Archaeological Residue Analysis” (Oxford, 2007), with W.Z. Wendrich “The Archaeology of Mobility: Old World and New World Nomadism” (Los Angeles, 2008), and with K. Duistermaat “The History of the Peoples of the Eastern Desert” (Los Angeles, 2012). H. Barnard and A.N. Dooley (2017), An ancient irrigation canal in the Pampa Tamarugal, Journal of Field Archaeology 42, 259-268. J. Cooper and H. Barnard (2017), New insights on the inscription on a painted pan-grave bucranium, Grave 3252 at Cemetery 3100/3200, Mostagedda (Middle Egypt), African Archaeological Review 34, 363-376. B.T. Nigra, A. Cardona Rosas, M.C. Lozada and H. Barnard, (2017), Reconstructing the built environment of the Millo Complex, Vitor Valley, Peru, Ñawpa Pacha, Journal of Andean Archaeology 37, 39-62. H. Barnard, R. Boytner, N. Khandekar and M. Schleicher, (2016), Painted textiles: Knowledge and technology in the Andes, Ñawpa Pacha, Journal of Andean Archaeology 36, 209-228. H. Barnard, W.Z. Wendrich, A. Winkels, J.E.M.F. Bos, B.L. Simpson and R.T.J. Cappers, (2016), The preservation of exposed mudbrick architecture in Karanis (Kom Aushim), Egypt, Journal of Field Archaeology 41, 84-100. H. Barnard, W.Z. Wendrich, B.T. Nigra, B.L. Simpson and R.T. J. Cappers (2015), The fourth-century AD expansion of the Graeco-Roman settlement of Karanis (Kom Aushim) in the northern Fayum, Journal of Egyptian Archaeology 101, 51-67. B.T. Nigra, K.F. Faull and H. Barnard (2015), Analytical chemistry in archaeological research, Analytical Chemistry 87, 3-18. H. Barnard, A.N. Dooley, G.E. Areshian, B. Gasparyan and K.F. Faull (2011), Chemical evidence for wine production around 4000 BCE in the Late Chalcolithic Near Eastern Highlands, Journal of Archaeological Science 38, 977-984. H. Barnard, S.H. Ambrose, D.E. Beehr, M.F. Forster, R.E. Lanehart, M.E. Malainey, R.E. Parr, M. Rider, C. Solazzo and R.M. Yohe II (2007), Mixed results of seven methods for organic residue analysis applied to one vessel with the residue of a known foodstuff, Journal of Archaeological Science 34, 28-37. H. Barnard (2007), Additional remarks on Blemmyes, Beja and Eastern Desert Ware, Ägypten und Levante 17, 23-32. H. Barnard and A.A. Magid (2006), Eastern Desert Ware from Tabot (Sudan): More links to the North, Archéologie du Nil Moyen 10, 15-34. A. Wilkins, H. Barnard and P.J. Rose (2006), Roman artillery balls from Qasr Ibrim, Egypt, Sudan & Nubia 10, 64-78. H. Barnard (2005/2006), Eastern Desert Ware from Marsa Nakari and Wadi Sikait, Journal of the American Research Center in Egypt 42, 131-146. H. Barnard, A.N. Dooley and K.F. Faull (2005), New data on the Eastern Desert Ware from Sayala (Lower Nubia) in the Kunsthistorisches Museum, Vienna, Ägypten und Levante 15, 49-64. S.E. Sidebotham, H. Barnard, J.A. Harrell and R.S. Tomber (2001), The Roman quarry and installations in Wadi Umm Wikala and Wadi Semna, Journal of Egyptian Archaeology 87, 135-170. H. Barnard (1993), A description of three graves at Qasr Ibrim, Archéologie du Nil Moyen 9, 47-63. H. Barnard, E.J. Dreef, J.H.J.M. van Krieken (1990), The ruptured spleen: A histological, morphometrical and immunohistochemical study, Histology and Histopathology 5, 299-304.